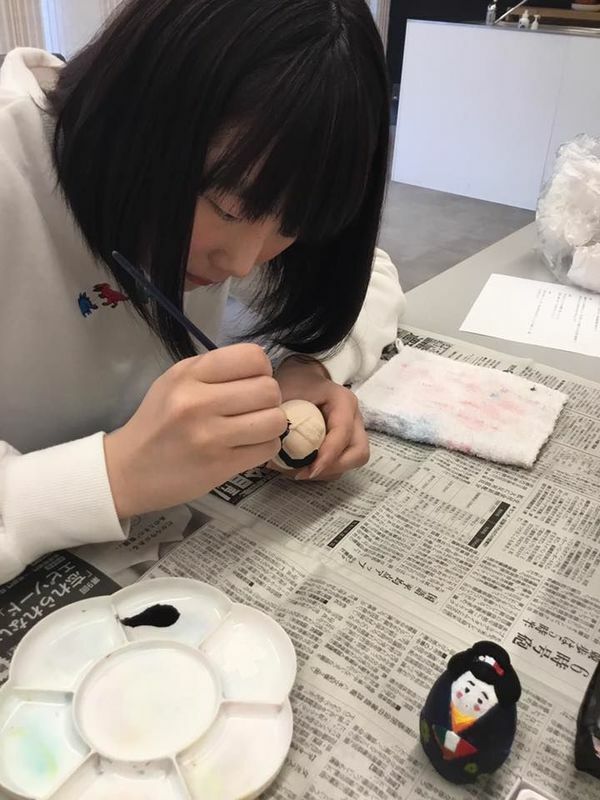 Today, we had two girls from Kagoshima to experience of Hakata doll painting. They come to Fukuoka for their graduation trip. They've come to Fukuoka by some concerts, but they'll have Japanese traditional experiences, also wear Kimono this time. Hope them to enjoy Fukuoka!! We introduced some good tourist spots in Fukuoka.